This week I’ve been feeling a bit nostalgic and thinking back to when I was a kid. I grew up in the 80’s, so I do have a soft spot in my heart for that decade. The movies, the clothing, the slang and let’s not forget the music. Back in the 80’s, I could turn on the radio and know every word to the songs and actually sing with it. 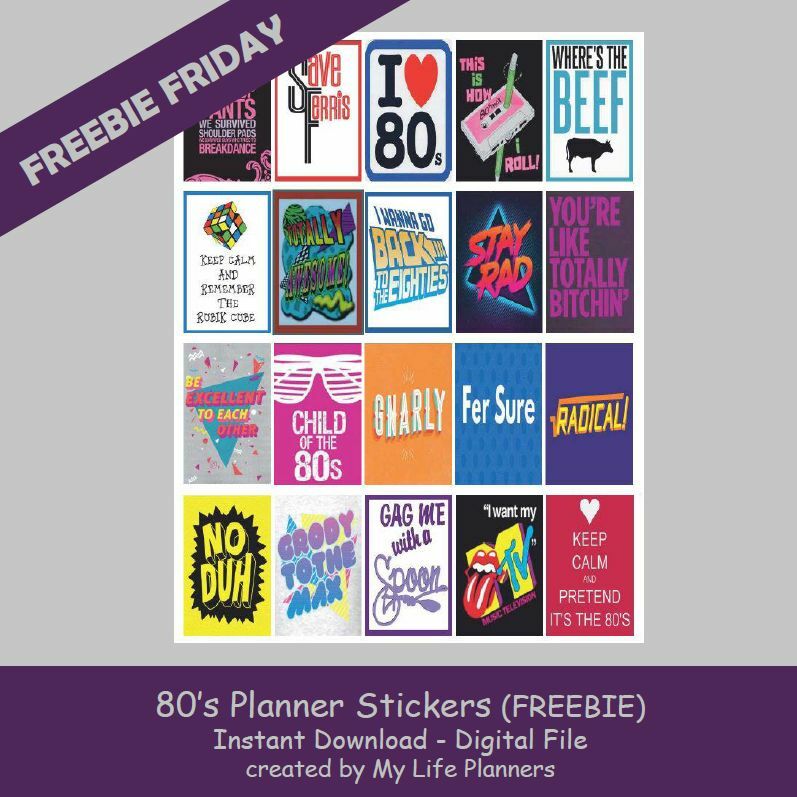 I thought it would be fun to feature a decade theme this week for Freebie Friday. So dig out your lace gloves, leg warmers and tease up your hair to get your 80’s on. Like totally fer sure dude!